In recent years, people in different parts of the world have raised their voices through elections and pressured political parties to include drinking water in their manifestos. The contamination of groundwater and surface water, the crisis in drinking water supply, inaccessibility and mismanagement of water resources, sanitation issues and their health implications have persuaded citizens to protest or to raise their voices for clean drinking water. Virginia and Florida in the US, Cape Town in South Africa as well as Mansehra in Pakistan are a few examples where people have asserted themselves in different ways. For example, in the city of Mansehra, messages were written over walls that read Pani do, vote lo (Give water, take votes). In Cape Town, people have advocated that ‘the right to water is the right to life’. Such water-related movements are exemplary and path-breaking for future discourse on the global water crisis and water issues at the local level. India has the lowest access to clean water by population according to The Water Gap–The State of World’s Water 2018, a report prepared by non-profit Water Aid. Two notable examples where people exercised their voting power to get redressal for their water problems in India are the Gujarat Assembly Elections of 2017 and the Madhya Pradesh Assembly Elections of 2018. In both places, people, mainly from water-distressed rural areas, had pledged to boycott polls if they were not given safe drinking water. In Gujarat’s Valsad constituency, the protest transformed into a decrease of 2.47 per cent in the polling percentage—from 71.43 per cent in the previous poll to 68.97 per cent in 2017, along with 1.15 per cent of the NOTA vote. Although the Bharatiya Janata Party (BJP) secured the seat, it failed to maintain a good share of votes in the election. In Madhya Pradesh’s Jabera constituency, people from rural areas had warned the administration that they would not vote and had installed banners outside polling booths which read Talab Nahi To Vote Nahi (No pond, No votes). It is a constituency where, according to a few reports, a drinking water crisis has prevailed for more than 30 years. Consequently, people voted out the BJP and elected the Congress. In both, Valsad and Jabera, either the polling percentage declined along with a higher percentage of NOTA votes or people changed their political choice. Thus, in both these places, people taught political parties a lesson which they are not going to forget in a hurry. We all know about the recent water crises in Shimla and Chennai through extensive media coverage. But there was hardly any coverage on the ‘No water, No Votes’ instances, which had a deciding effect on the election outcomes. Now, the 2019 Lok Sabha Elections are here and a movement similar to Valsad and Jabera is underway in the Kot block of Pauri Garhwal district in Uttarakhand. 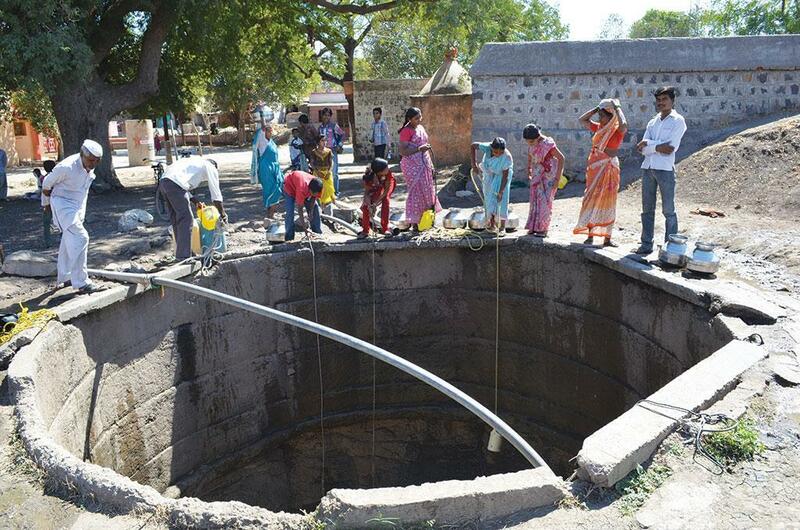 If not provided with clean drinking water, the residents from 40 villages of this block have notified the district collector to boycott the Lok Sabha election. This particular protest is the third dot of the ‘No Water No Votes’ protest which then calls into question the prevailing drinking water crisis in large parts of the country. The question to ask is, are political parties going to include water crisis in their manifesto this time? If not, there might be electoral consequences like in Madhya Pradesh and Gujarat. Do welfare schemes catch votes?